Plantation, FL, July 17, 2018 — Oncology Analytics, which provides health plans with an evidence-based, technology driven approach to utilization management that is purpose-built for oncology, announced today that it has been accredited by the National Committee for Quality Assurance (NCQA) in Utilization Management. NCQA Utilization Management Accreditation is a quality assessment program that focuses on consumer protection and customer service improvement. 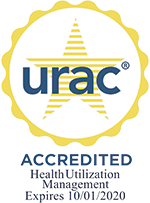 The two-part audit required to earn the UM accreditation involved an evaluation of Oncology Analytics’ operations including an extensive review of the company’s documentation, reports, policies, and procedures. This was followed by an NCQA onsite physician visit to review files against timeliness standards and quality of clinical criteria and documentation. An independent review oversight committee of physicians then analyzed the findings based on performance against NCQA standards. NCQA Accreditation is governed by the Standards for Accreditation in Utilization Management and the Standards for Accreditation in Credentialing, developed with the assistance of representatives from the Standards Committee, the Review Oversight Committee, and input from other organizations. “Achieving Utilization Management accreditation from NCQA demonstrates that Oncology Analytics, Inc. has the systems, process, and personnel in place to conduct utilization management in accordance with the strictest quality standards,” said Margaret E. O’Kane, President of NCQA. NCQA has reviewed and accredited Oncology Analytics’ Utilization Management functions only. For complete details on the scope of this review, visit www.ncqa.org. NCQA is a private, non-profit organization dedicated to improving health care quality. NCQA accredits and certifies a wide range of health care organizations. It also recognizes clinicians and practices in key areas of performance. NCQA is committed to providing health care quality information for consumers, purchasers, health care providers, and researchers. For more information, please visit www.ncqa.org.